I have tried cases, argued before appellate courts and regulatory bodies, negotiated deals, arbitrated labor grievances and worked in-house on large business teams. After all those years, I discovered that what I loved the most was working to find synergies among disputing parties and solutions for difficult problems. It’s why I’m a mediator. It’s what I do. Kathy Palter has practiced law in Dallas, Texas for over 20 years, focusing primarily on commercial litigation and corporate matters. During that time she litigated, arbitrated and mediated cases involving complicated and costly legal issues – and gained a healthy respect for the resolution of disputes through mediation. 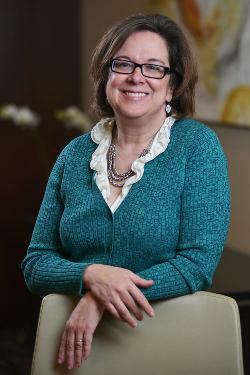 Kathy’s experience is varied, encompassing both law firm practice and many years in-house with Fortune 50 companies. As such, she understands well the pressures faced by business people involved in litigation. During her years of practicing law, Kathy represented clients on both sides of the docket in Texas state and federal courts in cases involving breach of contract, business torts, deceptive trade practices, property taxes, worker’s compensation, usury and construction issues. As in-house counsel, she arbitrated labor disputes in Texas, Oklahoma and New Mexico, litigated employment issues (through appeal to federal circuit courts and the United States Supreme Court), negotiated complex contracts and managed large multi-state regulatory proceedings before both state and federal agencies. Kathy has also served as an adjunct law professor, teaching State and Federal Pre-Trial Practice, Trial Advocacy and Texas Civil Procedure. She is a member of the State Bar of Texas and the Dallas Bar Association (ADR Section) and is engaged with Attorneys Serving the Community/Dallas and the Texas Association of Mediators. Kathy Palter is actively involved in community arts and education endeavors. In 2017, she became a mentor for Step Up Women's Network, working with female high school students to encourage them to be college-bound and career-focused. She is President of the Board of Junior Players, a non-profit organization providing free arts programming to under-served K-12 students in North Texas for over 60 years. Kathy recently completed a two-year term on the advisory board of Echo Theatre, a theatre company dedicated to performing plays “by women for everyone” at the Bath House Cultural Center. In 2016, she participated in college application writing workshops for “Collegiate STEPS,” a program sponsored by Boys’ and Girls’ Clubs of Greater Dallas that provides mentoring to high school students. Previously, Kathy served on the board of HP Arts, a non-profit supporting arts education in the Highland Park ISD, on the Publicity and Website committees, and as President in 2012-13. Concurrently, she was an active member of the HPHS Highlander Band Boosters and co-chaired the Spirit Committee from 2010 to 2013, having served as Publicity Chair for the HP middle school band program from 2008 to 2010. Kathy also served as 2010-2011 Chair of the Holy Trinity Catholic Church Parish Council where she is an active parishioner, serves on the Stewardship Task Force, taught 6th Grade Sunday School and sings in the sanctuary choir. With her husband John Palter, she has been engaged for several years with SVP (Social Venture Partners)/Dallas.